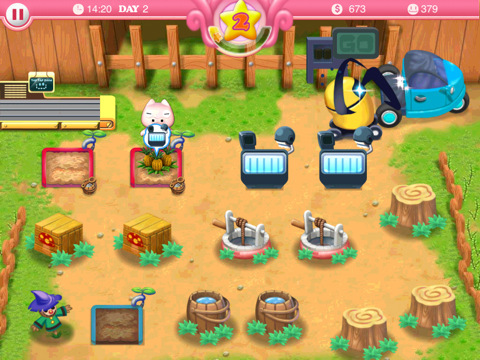 Home Feed Pretty Pet Tycoon HD now available for the iPad! Play Pretty Pet Tycoon on a bigger screen! 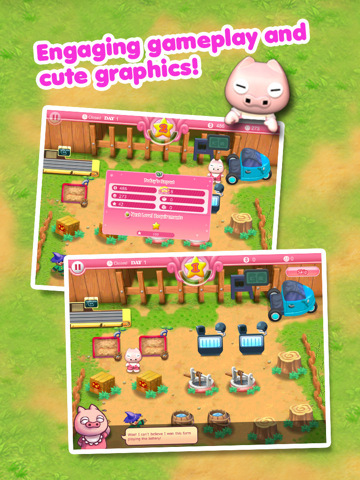 Pretty Pet Tycoon HD offers the same fun and addictive gameplay as the original, now with even more stunning graphics and an interface designed especially for the iPad. See everything happens in your farm and factories in amazing detail! 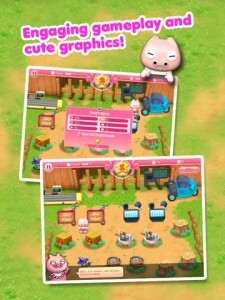 Pretty Pet Tycoon HD allows you to run a farm devoted to producing fruit. Use your quick reflexes and shrewd time management skills to help Piglina manage her farm and earn income. Produce and package as much fruit as you can, recruit farmhands, purchase and upgrade equipment, and manage advanced fruit-processing facilities like the Juice Factory and Candy Factory. All this in brilliant HD graphics! Enjoy more fruity fun with Pretty Pet Tycoon HD! 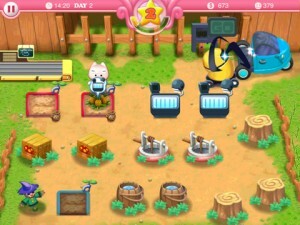 Download Pretty Pet Tycoon HD (Free). Compatible with iPad. Requires iOS 3.2 or later.